This book acts as a reference that provides readers with the broadest available single volume coverage of leading edge advances in the development and optimization of clean energy technologies. 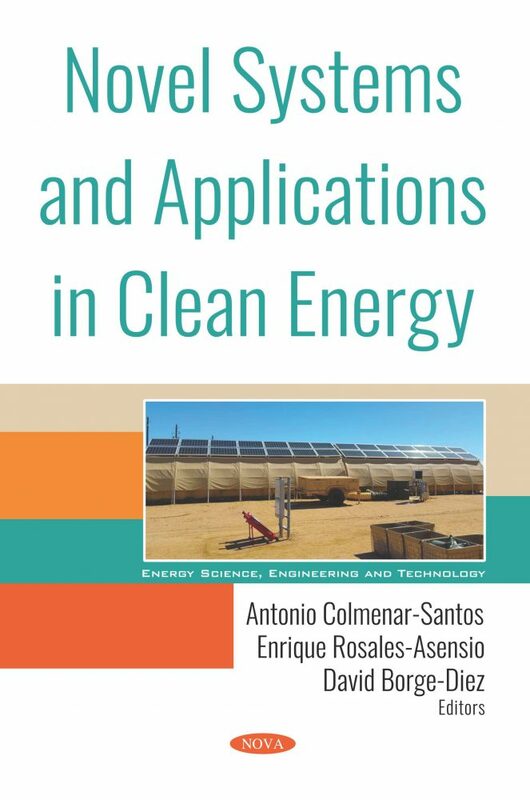 One of the objectives of this book is to conduct a primary energy analysis and economic evaluation of solar thermal and photovoltaic cooling systems used for air conditioning in office buildings that apply simulation systems. Due to the climatic conditions that influence the performance of these two systems, the comparison is made for three different climates corresponding to Palermo, Madrid and Stuttgart. For each climate, the same geometry and dimensions of a building are considered, but with different user profiles and construction. Consequently, different heating and cooling loads – twelve cases in total – are taken into consideration. 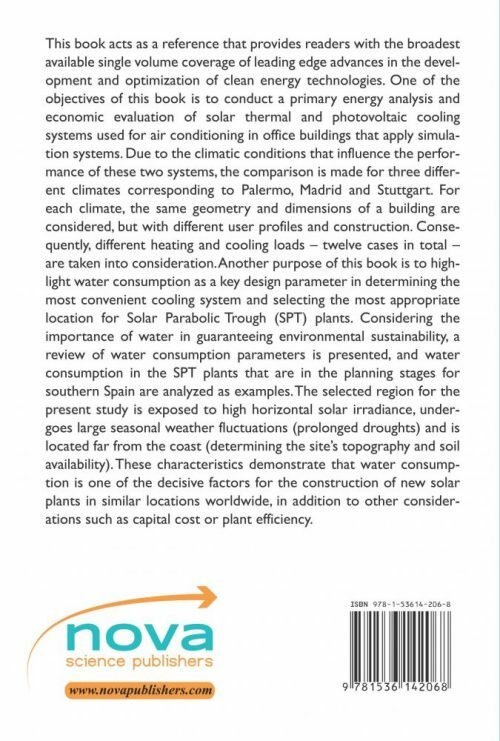 Another purpose of this book is to highlight water consumption as a key design parameter in determining the most convenient cooling system and selecting the most appropriate location for Solar Parabolic Trough (SPT) plants. Considering the importance of water in guaranteeing environmental sustainability, a review of water consumption parameters is presented, and water consumption in the SPT plants that are in the planning stages for southern Spain are analyzed as examples. The selected region for the present study is exposed to high horizontal solar irradiance, undergoes large seasonal weather fluctuations (prolonged droughts) and is located far from the coast (determining the site’s topography and soil availability). These characteristics demonstrate that water consumption is one of the decisive factors for the construction of new solar plants in similar locations worldwide, in addition to other considerations such as capital cost or plant efficiency.